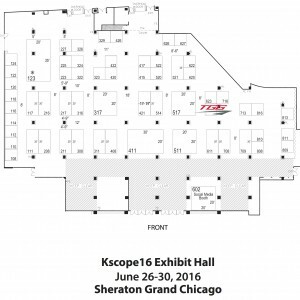 Connect with TGG at Kscope16! TGG (The Goal Getters) continues to gear up to provide you a “Magical” experience at this year’s Kscope16 Conference – one of the best Hyperion events. Since 2008, ODTUG’s Kaleidoscope Conference (Kscope) has hosted a full track of sessions dedicated to Oracle Hyperion EPM suite of products – business, functional, and technical. This is the place to learn from the world’s leading experts on Oracle Hyperion EPM, performance management trends, and leading practices. Thank you for all those that registered for their chance at a Kscope16 Conference Pass. The draw has taken place and the winner is …. The smell of popcorn will make you want to run to the EPM Carnival on Monday night. Grab a drink while networking with friends old and new, and enjoy the sights and sounds of the midway. Make some memories in the selfie photo booth. Give your mind a rest and try out your muscles on the towering 11-foot-high striker, shoot some hoops, or just relax and enjoy the magician. Test your mind and Hyperion skills in the EPM-related scavenger hunt. You’ll be spinning cubes with your community and loving every minute of it! Whether you watch or play, it is guaranteed to be fun for all. Be there! Come hear from our Hyperion Magicians as they unveil secrets of Hyperion and the Cloud at Kscope16 on June 28, 2016, from 8:30am – 9:30am. We will also provide a glimpse of what is happening behind the scenes for Hyperion in the Cloud as well as share the user experience over a year after go-live. Don’t forget to swing by our booth (Booth 621) or you’ll miss our other Hyperion Magician! Join us to hear first hand from an Oracle customer why their finance and IT teams love Hyperion in the Cloud. Learn about how they decided between on-premise/in-house managed, traditional hosting/application managed services, Oracle Cloud (PBCS), and cloud hosting/application managed services. Register today for #Kscope16! Don’t forget, save an additional $100 when you use our discount code, TGG. Reserve your hotel room now! You don’t need to be registered to book your hotel room at the Loews Chicago Hotel. Hurry, rooms will sell out soon.